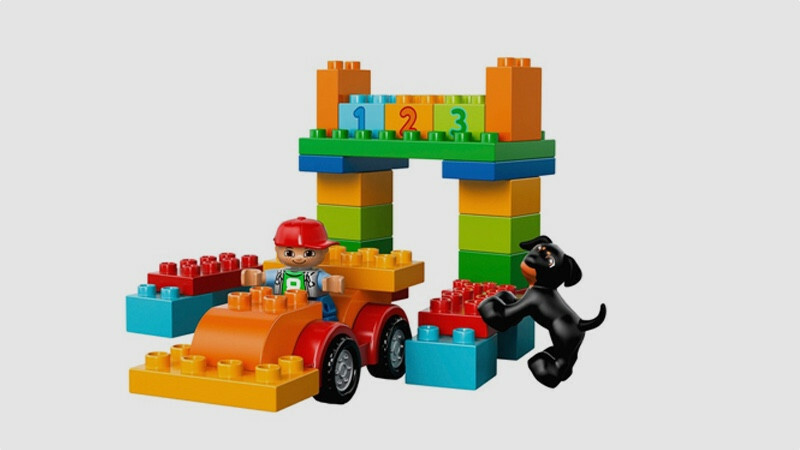 Colourful, fun and creative, Lego Duplo has fast become an iconic toy that’s perfect for playrooms and designed for children up to the age of five. Duplo bricks are twice the size of a classic Lego brick, making them easier to hold but stackable in the same way. We can tell you, it's a lot less painful to stand on than standard Lego too! Designed to develop motor and STEM skills, Duplo makes it easy for children to learn through play. Building up a Duplo tower ready to be knocked down again moments later nurtures hand-eye coordination, while opening doors on a Duplo train builds finger dexterity. You can use the bricks to teach your child about colours, numbers and shapes, and get stuck into role play with the ‘My Town’ sets, which include farmers markets, pony stables, train stations and more. Here's our pick of the best Lego Duplo sets currently on the high street. A great starter pack that can be added to as your tot grows, this All in One Box of Fun includes 65 pieces for your budding Duplo architect. At the heart of it is a buildable wagon base with rounded edges and wheels. There are also two opening windows and two figures of a dog and a boy included that can be used to create a number of settings. A collection of numbered and decorated bricks that show everyday objects such as cherries and mice will help encourage roleplay, while a few flowers will get kids thinking about both home and garden scenes. We’re yet to meet a child who doesn’t enjoy playing with a train set and this colourful Lego Duplo Number Train is a great starter piece. The train and wagons measure a satisfying 10cm high by 37cm long and can be arranged in a number of configurations. 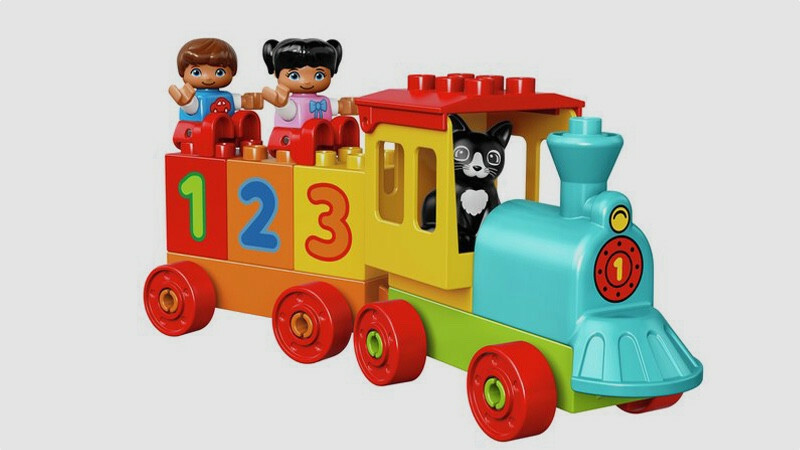 The set also features two Duplo figures and a cat, which can be attached to the train and pulled along by hand. The blocks feature numbers from one to nine, displayed in a clear and vibrant way, to subtly introduce your child to numbers and counting. 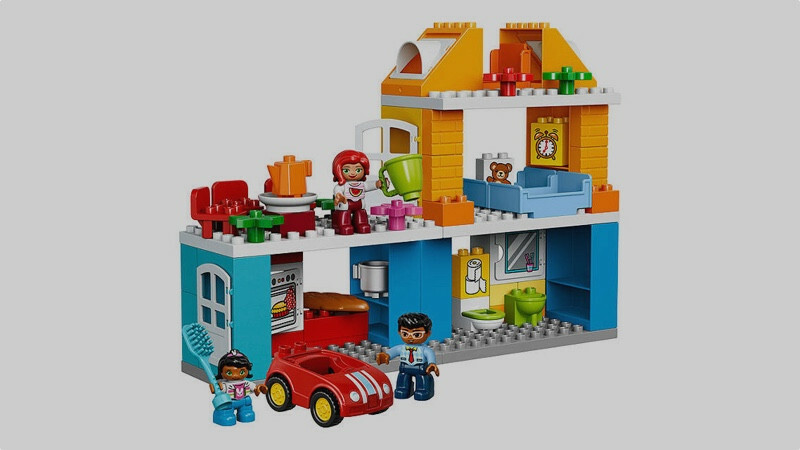 For any child eager to get stuck in helping mummy and daddy with chores around the house, this Family House set is just the ticket. It includes pieces for make-believe car washing, laying the table, making tea and more. Kids can enjoy building rooms just how they like them, including a kitchen with an opening oven, bathroom with toilet, basin and opening mirror cabinet and a bedroom with beds. There's even a roof terrace dining area included to fuel their imagination. The house can be designed in a number tall or wide configurations and there are three Duplo figures included – a mum, dad and child – ready to be played with in any imaginary world. Roll up! Roll up! It’s all the fun of the fair. There’s lots to spark a child’s imagination in this fun fairground scene. We particularly love the attention to detail, with bricks decorated as a height chart, a gumball machine, ice creams and a funfair entrance sign. The mum, dad and two children figures can gain entry to the fair past the ticket stand and take a ride on the rotating carousel, which features four horse figures - you can get it moving either using the gearwheel function or by spinning its top. They can also whizz down the two wavy slides and relax with a drink on the table and chairs. 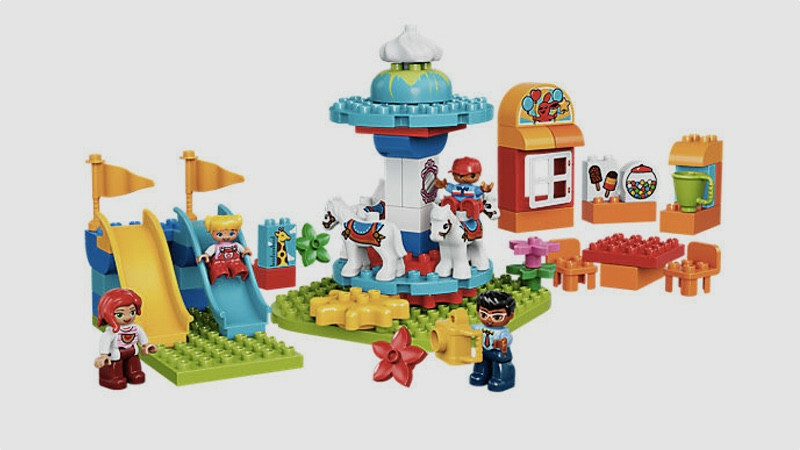 This set is a little more interactive than your standard Duplo pack and more complex to put together, but the journeys and possibilities are endless. 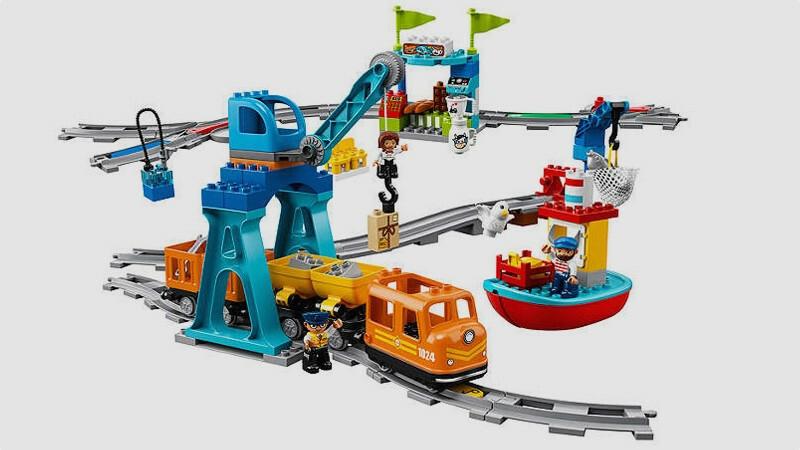 There are 24 pieces of track to put together, including switches, hills, a crossing and stops, and you can also buy extra track to add to the set and extend your travels. The scene features a buildable locomotive that has a push and go motor – a gentle push will send the train on its way, and a firm hold will make it stop. The set also include cargo trucks, five colour coded action bricks and a loading and unloading station. Older kids in particular may appreciate the free downloadable app that gives you remote control function via Bluetooth.